Is there anything this man can’t do? After a great success with his directorial debut with the film SINGLE MAN, he’s returning to treating us ladies. This time it’s with a collection of lipsticks called Private Blend Lipstick. It contains 12 richly pigmented shades and I can’t wait to check them out. 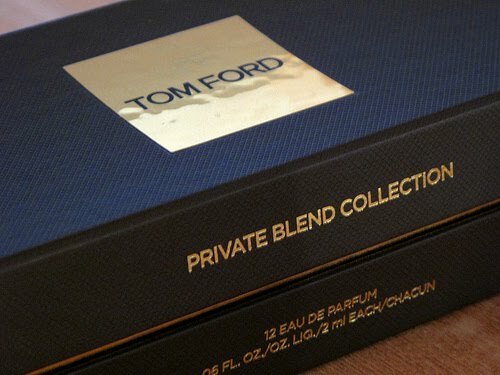 They will be available from April 23, from all Tom Ford Private Blend counters. Now I just hope he returns to designing womenswear. Good luck with everything my hero! Unfortunately I haven’t got a picture of the lipsticks yet, so I’m bringing you one of his perfume boxes for Private Blend.